I’m happy to announce the first version of the new BTicino (Legrand) / OpenWebNet binding for openHAB 2. This is the first known openHAB 2 binding for BTicino/Legrand gateways and devices to support both BUS/SCS and BTicino ZigBee (using USB dongle). other functionalities/devices will be added soon - hopefully with your help. The final goal is to integrate all the functionalities available in the 1.x version of the BTicino binding. Please test it in your environment and give me your feedback ! Since it’s still in development stage and not part of the official distribution, to install the binding refer to these instructions and steps. Add-ons for openHAB 2.x. Contribute to mvalla/openhab2-addons development by creating an account on GitHub. thanks for your great work. As a total noob I have been waiting for a easy-to-use-binding for months. I´m looking forward for the next version and the integration of the automation. Hi @Faro, thanks for testing and for your feedback! Your feedback is very important since the BUS/SCS integration was only partially tested so far. and send me the log? I’ve test your binding with the scs bus and the zigbee dongle 3578. 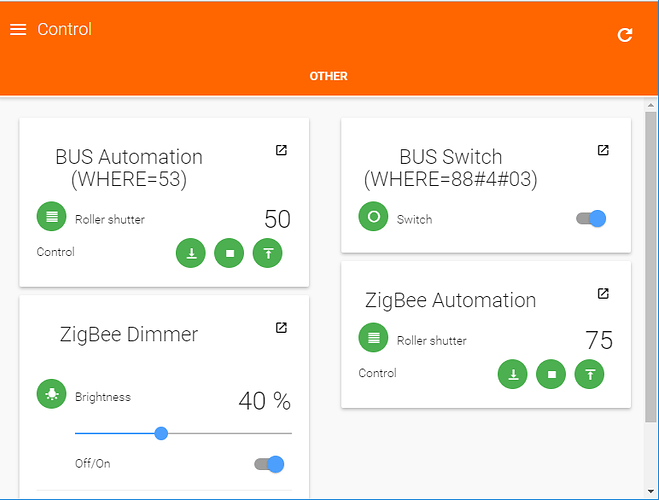 The lighting actuators bus and lighting actuators zigbee works in openhab. Zigbee ; All actuators (Lighting or Automation) have been detected. Your feedback is particularly useful because you have a mixture of SCS and ZigBee, so I am particularly interested (this new binding was designed just for that!). If I understand correctly your only error is that SCS monitoring (feedback) is not working , same as happened to @Faro above. 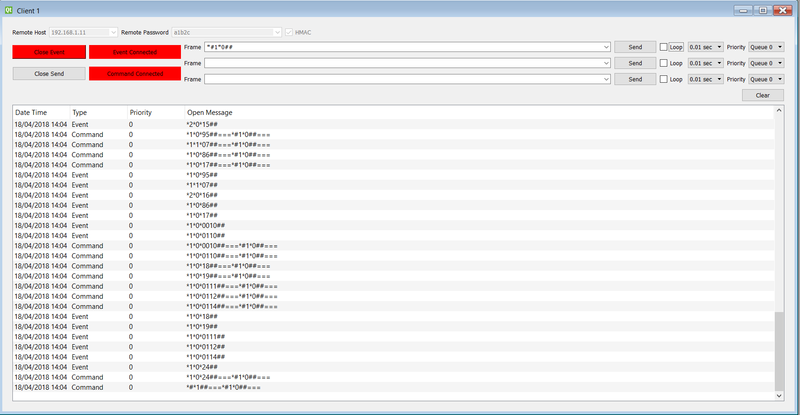 Would you be able to remove all things (not just from inbox, also from PaperUI Things menu) , set the log level to debug as explained above and start again with a new discovery of both SCS and Zigbee devices? And then follow the instructions I sent to Faro (first activate the SCS device from OH and three from the physical device). And send me the log, as private message if you prefer? I will analyze the log and try to understand why monitoring is not working . I have some suspect but I need your log to confirm. Thank you Massimo for this effort, I was really hoping for a binding like that!!! thanks for your feedback. Support for string passwords (Test1234) is not there yet, but if you provide me the logs at DEBUG level, it will help to understand the solution. and then send me the log here, or even better as private message. The MyHomeServer1 is not a gateway openwebnet. @enrico.mcc can you do a very quick test? https://www.myopen-legrandgroup.com/developers/ then tab TOOLS then download and run OpenWebNet Client - Windows (exec file is OpenWebNet_Client.exe). There you can put the IP address of your MyHomeServer1 and text password, select HMAC and the click on the green OpenEvent button. If the near button Event Connected becomes red, then your client is connected to MyHomeServer1 and you can try to activate any of your physical devices and you should be able to receive events on the log window below the buttons. Can you the test it and tell us what happens (may post an image)? If you succeed in connecting and receiving events on the client, the MyHomeServer1 can be used as OpenWebNet gateway ! Excellent! 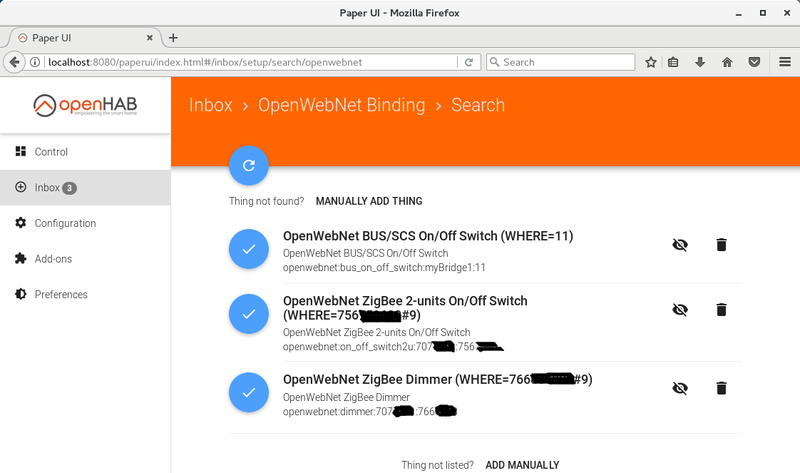 than you have a OpenWebNet gateway in your setup! I am already working on implementing HMAC (text passwords) authentication in my new OH2 BTicino binding, exactly to support also these gateways. try switching on/off a light from the command. In the “Frame” input box of the client put for example *1*0*WHERE## to switch OFF (1->to switch ON), where WHERE is the address of you light actuator (for example A=1, PL=1 becomes WHERE=11). Can you do this command test as well? 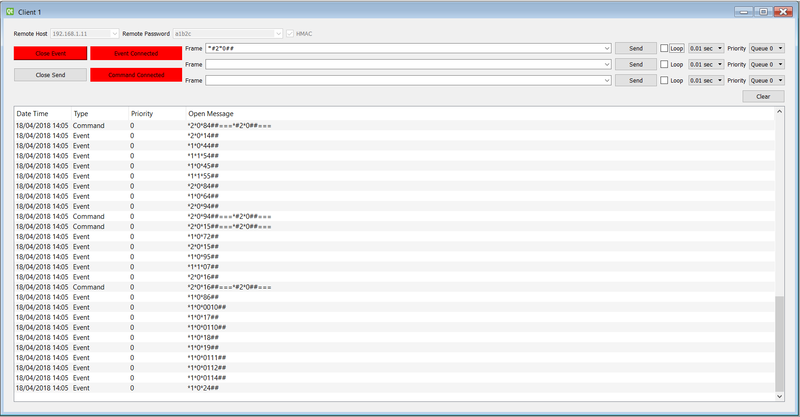 Just to be sure that MyHomeServer1 does support both feedback and commands from OpenWebNet protocol. *#1*0## and you should receive a status response for every light actuator in your setup environment, with all WHERE addresses just before the final ## of each Open Message. Also if you can post snapshot images of the client in the 2 tests would be useful to understand (especially the response for the shutter status response). Hi Arnaud, do you have an official page/doc where it is said that MyHomeServer1 does not support OpenWebNet? This would be strange as from the test by @enrico.mcc the server does actually respond to a login handshake (HMAC, text password) and sends events to a client. I installed your binding but the discovery doesn’t detect my Zigbee 3578 dongle. the user will need to logout from all login instances and log back in to see their new group added. If you add your user to this group and still cannot get permission, reboot Linux to ensure the new group permission is attached to the openhab user. If this also does not work, please set log level to DEBUG (find instructions previously in this thread), start a new dongle discovery and send me the logs here via private message. Thank you so much for your advice it really pointed me in the right direction. It was indeed an access problem. The ttyUSB0 device was created with permission to the user: root and group: root and not the group: dialout. Once I changed the permissions (I still have to find out how to make this change permanent) the 3578 dongle was discovered and so were the light switches. Are you going to add support the shutter switches (Up,Down,Stop) anytime soon? Thanks again for your help and great work. Happy that it worked also for you! The serial port permissions depend on your installation. In my case I use Linux and installation from packages (apt install) and openHAB is executed by the openhab user. After setting this user to be member of the dialout group (see command above), the setting became permanent. Yes, already working on that. Stay tuned for a new version! Working like a charm with google home!! Thank you! How can i remain up to date to the new features? Theres the possibility in the future to support even the termostat? Thanks for you wonderful work! Please can you give back some info about your setting? so that we know what works and what not. are you using BUS or radio ZigBee devices, or both? in case of BUS, which BTicino Gateway have you tested? (F453? F454? , …). With password or with IP range? does monitoring/feedback work for you? That is: when you switch on/off a light from the physical device, does the status of the device change in openHAB/PaperUI ? This info is helpful to get some stats about what is working and what not! The final goal is to have LIGHTING, AUTOMATION and THERMO all supported, as in the BTicino v1 binding. It would be very useful to get some logs from your installation to test all cases. If you are available to help, please send me a PM and I will tell you which tests/logs are useful. I use a Bticino gateway F454, i’ll send more informetion via PM after doing this test. Can you send me the instruction via PM to give you the right logs? I’m new on the forum it seems i can’t send pms right now.